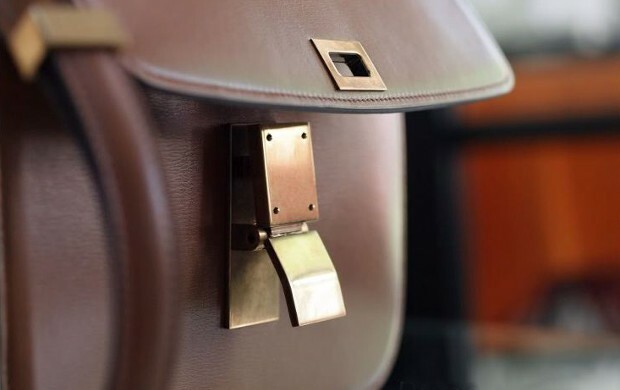 The Restory, an on-demand shoe and handbag repair and restoration service based in Notting Hill, boasts expertise ranging from traditional shoe and handbag repairs, to speciality services like colour restoration, hardware replacement and sole painting. They have sourced the best cobbler and leather specialists in the London area, and bring the highest level of craftsmanship together with the ultimate convenience of collection and return to homes or offices. Following a hundred-cobbler mystery shopping exercise, and in a bid to patch this gap, The Restory was launched: a premium on-demand shoe and handbag restoration service. Bringing the lost art of cobblery into the 21st century, they believe that there’s simply no replacement for stellar customer experience and second-to-none craftsmanship. In a bid to test such impressive credentials, I presented The Restory with my beloved Celine Box Bag, whose clasp no cobbler or handbag restoration service had as yet been able to fix. The gorgeous brass spring clasp had become disattached and lost its spring at the idyllic Winterwell festival last summer, and I’d spent the best part of a year driving around London and the home counties in search of a cobbler who might have the spare parts needed to mend it. Within a couple of days of its departure I received the glorious news that the repair was a success! My bag was delivered to my door, mended, spotlessly cleaned and ready to see me through the summer season. Can’t speak highly enough!